Ingredients: Veggies, olive oil, garlic. 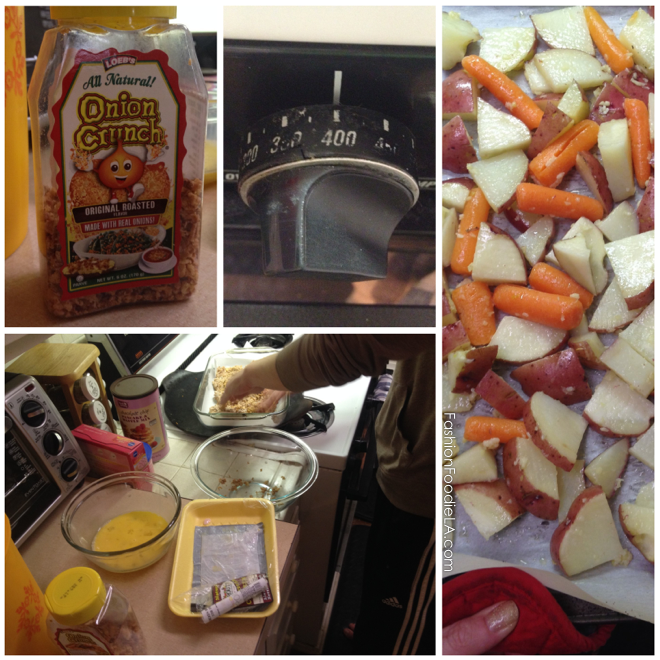 Directions: Cut potatoes into chunks. Toss with olive oil and chopped garlic. 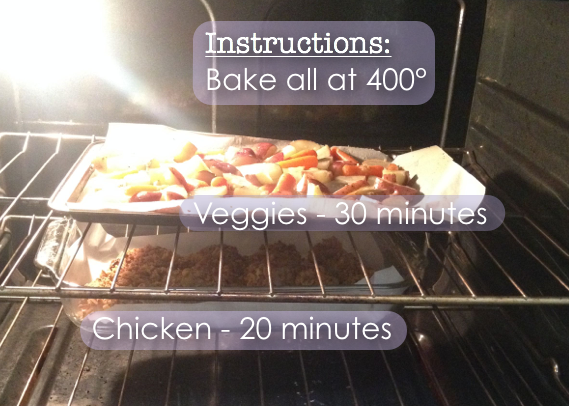 Bake in 400º oven for 30 minutes, or until veggies are soft when poked with a fork. 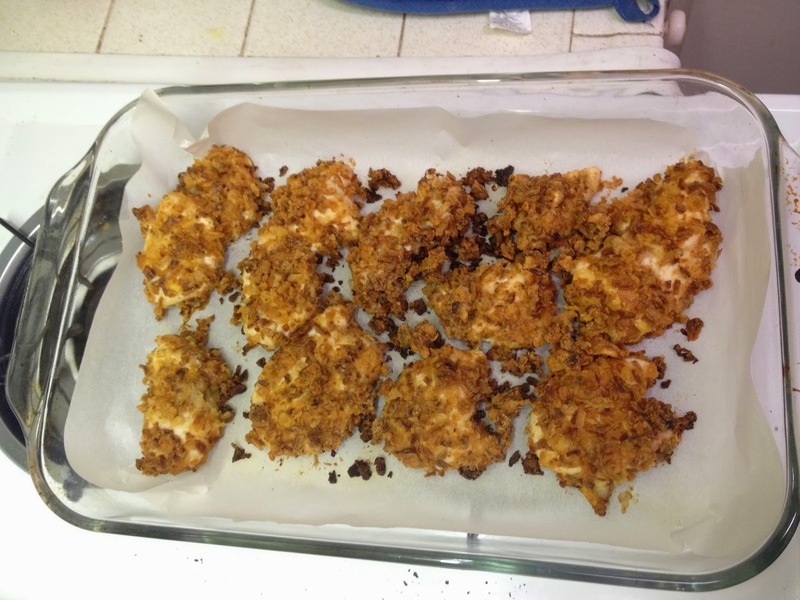 Ingredients: 2 beaten eggs, onion crunchies, 2 tbsp. flour. Directions: Mix half package of onion crunchies with 2 tbsp. flour. Dip chicken into egg, then coat with onion crunchies, pushing into chicken to coat all over. 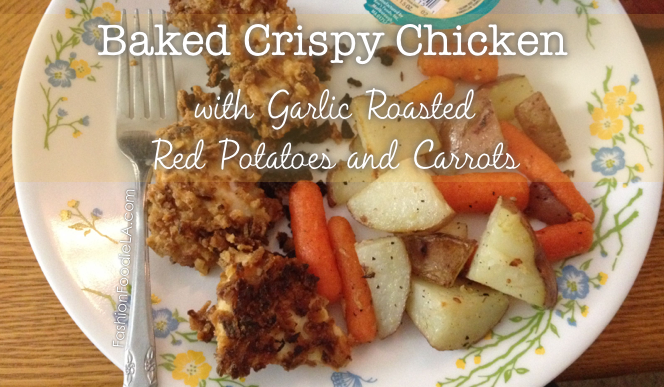 Place on baking sheet and bake in 400º oven for 20 minutes or until chicken is cooked through. 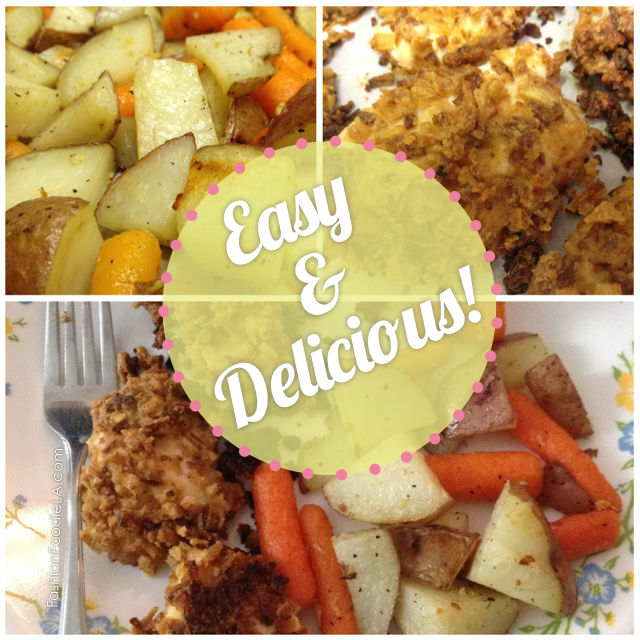 With this easy meal, it is all about tossing/coating and baking! Simply coat the veggies in olive oil and garlic, and then coat chicken in egg and then in onion crunchies. Everything is baked in a 400º oven! I recommend preparing the veggies and putting them into the oven first, then preparing the chicken. The potatoes need about 10 minutes more baking time and this is the perfect time to coat the chicken in the egg and onion crunchies. You can use French's fried onion for the onion crunchies, too! Have you had this dinner? What do you think? Let me know in the comments below! !